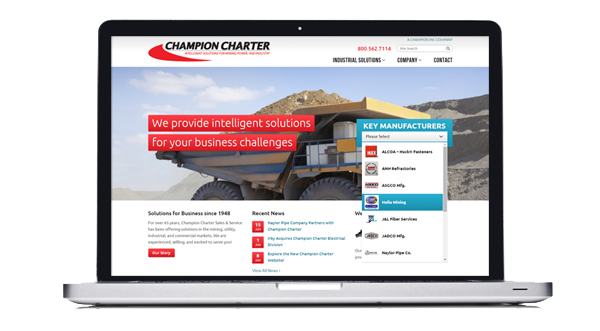 National industrial manufacturer Champion-Charter came to us for a new website that would help them navigate uncharted territory: generating business online. Present and market their products online in the best way possible, mostly to a localized, Midwest audience. Position one product line, Huck® Hydraulic Tools (shown above), to sell to a national audience. Both goals presented huge growth margins because their former website was dated looking and static with out-of-date product information.